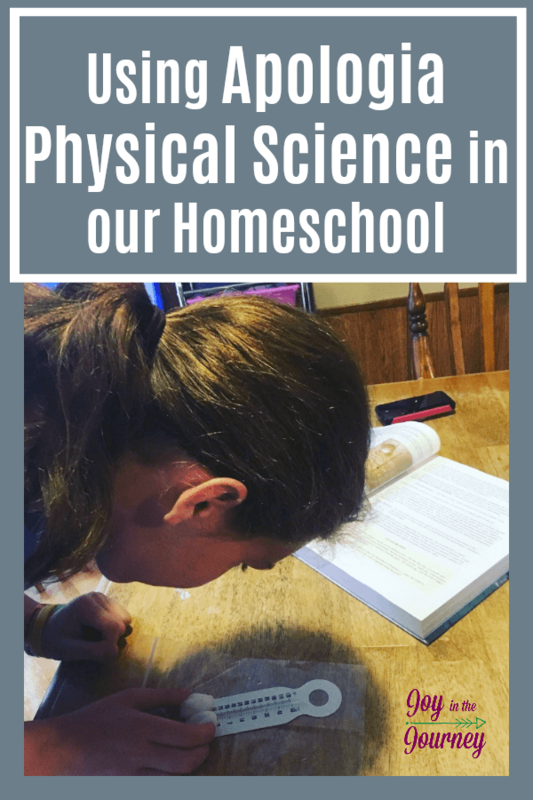 As my daughter has entered into high school level homeschool courses, we wondered how to approach Physical Science. She isn’t exactly science-minded. Insert Apologia Physical Science! A great course for homeschool families. Apologia curriculum has been our go-to resource for science for many years. 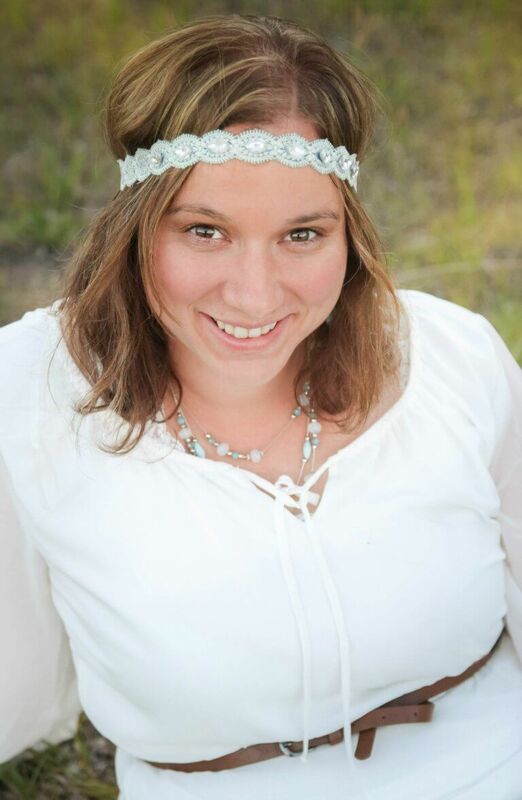 There was no doubt that it would also be our choice for physical science as my oldest daughter entered high school. But, honestly? I was nervous. This particular daughter is not exactly science-minded. In fact, she hates science, and we have struggled in it for a while. 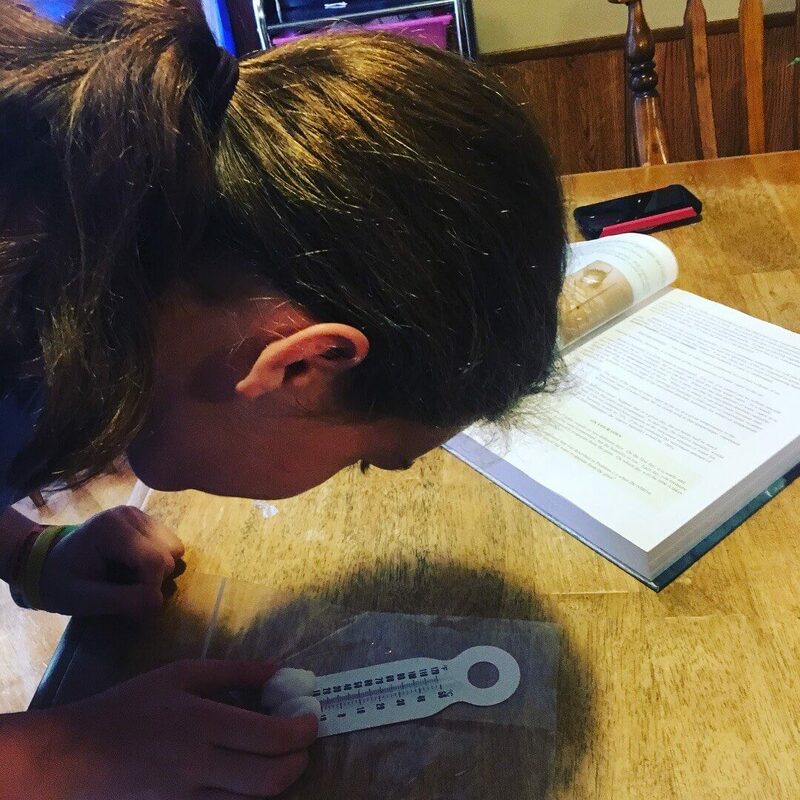 So, the idea of a high school level homeschool science? It made me weak in the knees. Luckily, I didn’t have too much to worry about. Apologia physical science has been a great resource for our family. I am going to take you through how to use it, what we have liked about it, and even a few things we didn’t. This course is designed to be the last science course the student takes before high school biology. Thus, it is recommended as an 8th-grade course. However, your student can also use it for their 9th-grade coursework. The text discusses such topics as the atmosphere, the hydrosphere, weather, the structure of the earth, environmentalism, the physics of motion, Newton’s Laws, gravity, and astrophysics. The author especially concentrates on the myths generated by the hysterical environmentalist movement. There are many hands-on experiments to do, and they all use household chemicals and supplies. It is an excellent course for preparing the student to take a college-prep high school science curriculum. Apologia has added in a long list of questions that other parents have asked followed by answers. This has been a valuable resource as we have wen throughout the book. You can also learn more about the physical science course, resources they recommend and much more on the main physical science page. One thing that is different in regards to the Apologia Physical science compared to the elementary courses is that science is scheduled every day instead of twice a week. This is a big jump, but necessary as the child prepares for high school level work. You should estimate at least an hour a day for this course. We have always had flex Fridays so adding in more work on Fridays has been a transition. But, in this course it IS necessary. 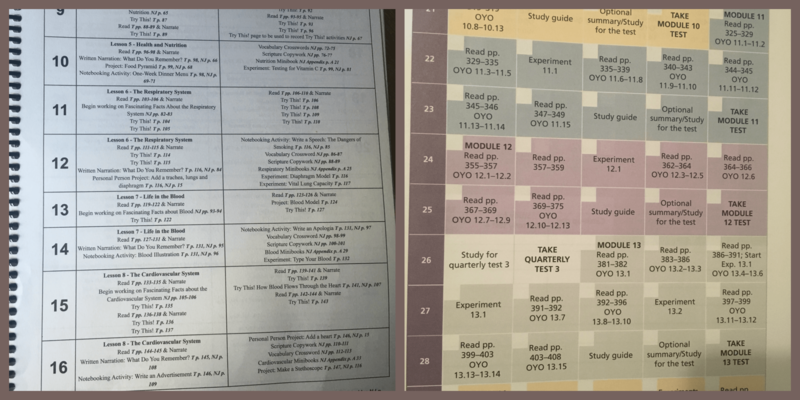 One thing that I like about the 5-day schedule and Apologia’s physical science overall schedule is that study time is written into the course schedule. 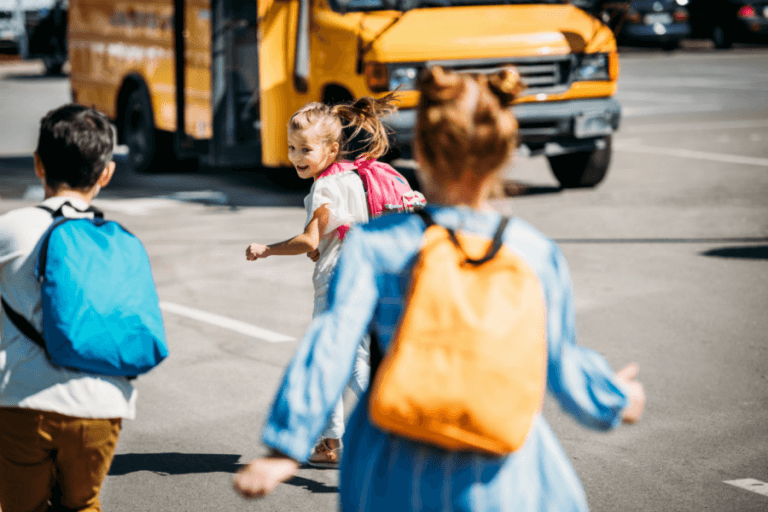 This helps the child transition into spending more time studying than what they have maybe done in the past. 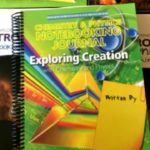 The student notebooks for the junior high programs are a lot different from the elementary notebooks, however, they are just as crucial to the learning, if not even more important. 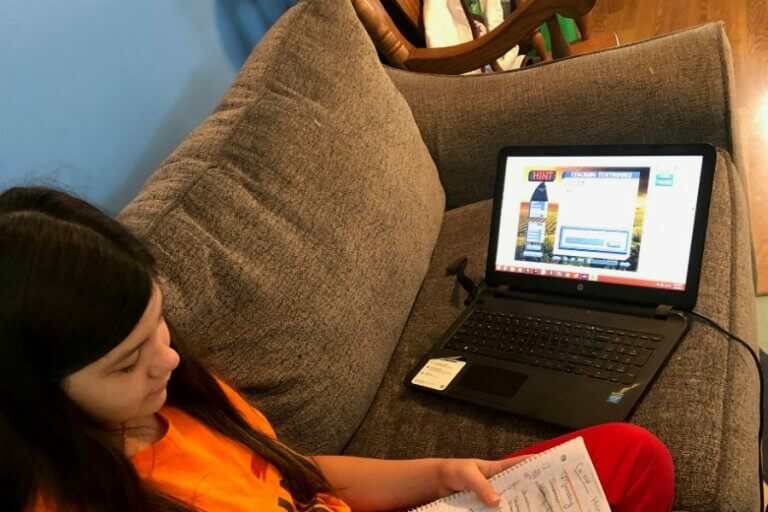 The purpose of the student notebook is to guide your student toward becoming more structured, logical, factual, and most importantly, independent! The notebooks contain a schedule in the front in an easy to read grid. I like the different color codes that show at an easy glance when modules are scheduled to begin and end. Student’s Personal Notes: Note taking is very important at this age and these pages encourage students to get started with note-taking. On Your Own Questions: These questions are designed so that your student answers these questions as he or she is working through the text. The answers to the questions are found in the textbook so that students can self-check their knowledge and know if they should move on or reread a section. 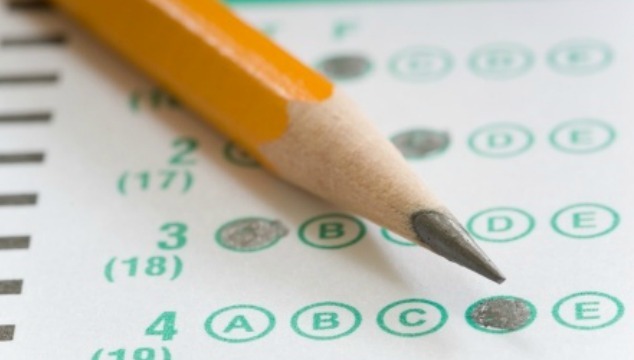 Study Guide Questions: Are designed as a pre-test for your student to see if they are well prepared for the exam. The answers to these study questions are in the solutions manual. Optional Summary Questions: These are optional study aides for those students who may need a little bit more time studying a particular module before taking a test and moving on in the textbook. Lab Report Templates: Each experiment listed in the textbook has a lab report in the student notebook. Templates progress throughout the year from step-by-step instruction to full student independence. 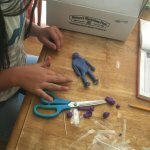 Digging Deeper: These sections provide hands-on or web-based activities to help a student discover more about a particular subject, as well as encourage independent research and study. What Does God’s Word Say: These sections direct the student to Scripture for a Biblical perspective on the subject matter. Science experiments from Apologia have always been a ton of fun, and the experiments in Physical Science do not disappoint. There are a lot of activities and really we haven’t come across any that have been “worth” skipping. They all add to the program and enhance learning. I do HIGHLY recommend the science experiment kit from Nature’s Workshop. We haven’t had to add much of anything that we didn’t have on hand. The kit makes learning and completing experiments SO much easier. Overall, we have been happy with Apologia Physical Science. I will say, that it has been a lot more teacher intensive than I thought it would be. This is mainly due to the fact that my daughter is NOT science-minded. I am wondering how it will go in a few years with my science-loving daughter. I do plan on using it again, but I also think there are a few things to keep in mind if you have a child who struggles overall with science. My daughter had a D in physical science based on test scores after the third module. She felt VERY discouraged. She felt she had studied a lot and had completed all the coursework. She had enjoyed the experiments and was overall enjoying (as much as one can) the content. But, she was NOT retaining the information. 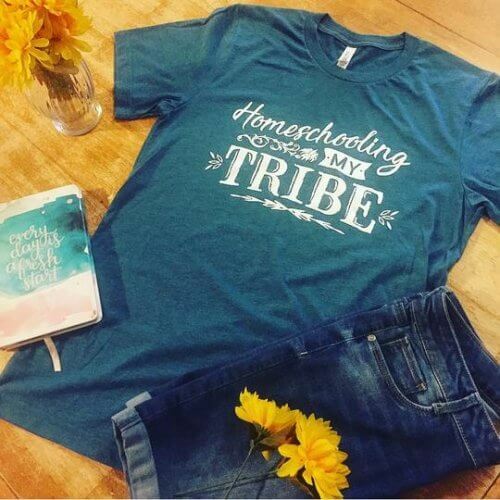 Insert the homeschool principal 😉 My husband had recently had a job change and was able to help her on this topic. He began taking over teaching the lessons and really worked alongside her on science. I began working with her on better study skills, we broke out the multimedia companion from Apologia, I let her take an extra day or two to study the weeks material. The results? By the end of the 4th module and quarterly test, she was scoring a B on her tests. So, my recommendation if you have a struggling learner? Work alongside them. On each and every lesson. This has not been a course I have been able to hand her and let her complete. She needs study help. She has also required extra time to complete the lessons. We are not doing this course as written. We are adding at least a day or two to each week’s assignments. And guess what? That is okay! I’ll be honest, this course is intense. It is definitely high school level work. 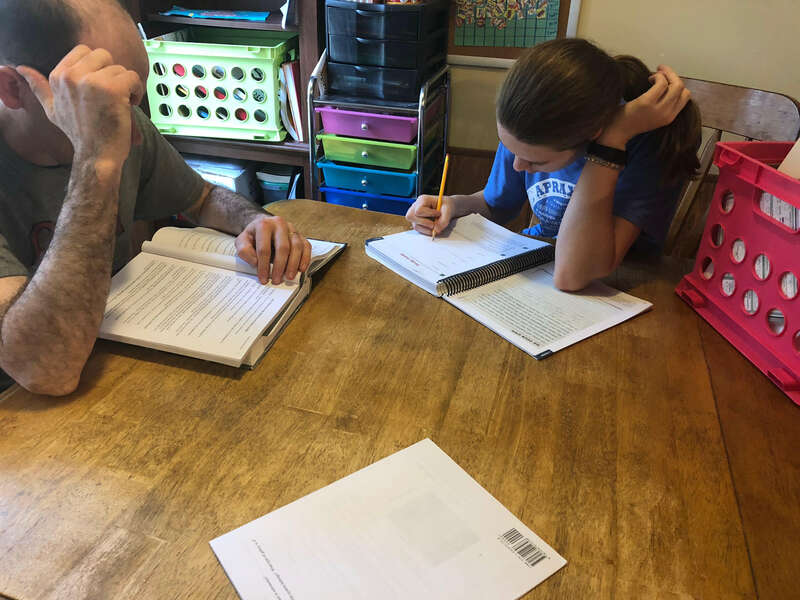 BUT, it has also been a nice lesson for my daughter in persistence, study skills, working diligently, and how to overcome struggles in school work. I am glad we didn’t throw in the towel and pushed through. I believe it will set a nice foundation for her other high school level science courses. 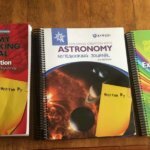 If you are looking for a physical science course for your homeschooler, I hope you consider Apologia Physical Science. 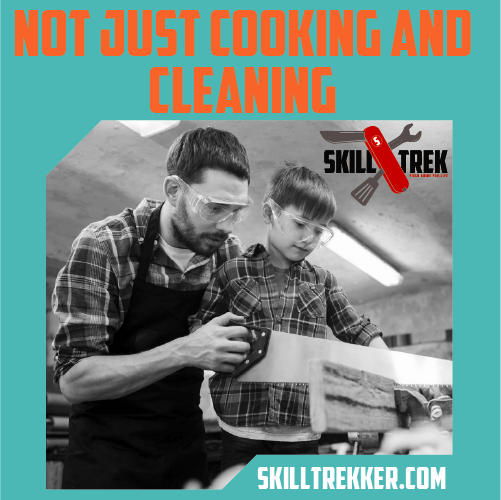 It really is a solid course that will prepare your child for the work they will complete in high school. 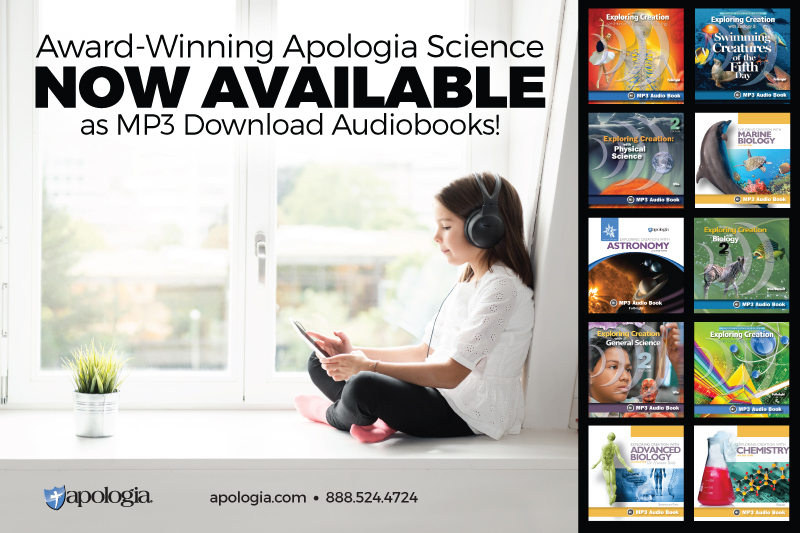 We have never been disappointed in any of our selections from Apologia curriculum, and they are still our number 1 choice in homeschool science.